Danny Gallman built my custom home almost 3 years ago! Although we hope this is our last one, if I ever build again, he would be the one to do it! I recommend him to anyone who wants quality care during the most stressful time in your life! He made it a breeze! 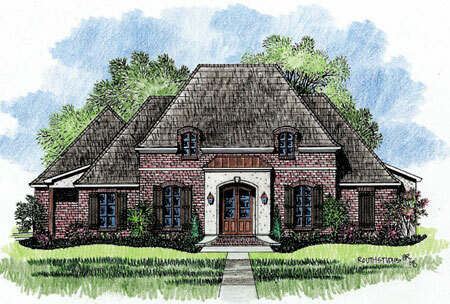 My husband and I are very pleased and love our home that Gallman Construction built for us. Danny is very professional and he was easy to work with. He made suggestions and listened to what we wanted and made sure that we were satisfied. 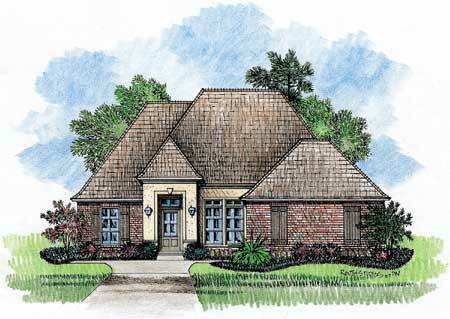 The quality of construction of our home is superior to previous homes that we have owned and have seen in the area. As it is well constructed and insulated, it is very energy efficient and quiet, while the interior of the home is beautifully detailed. We feel that we were very blessed by having Gallman Construction build our home. 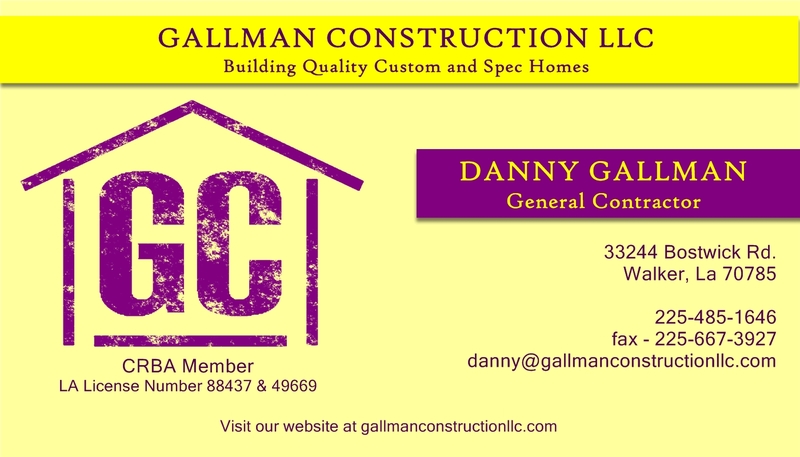 Danny has our highest regard and we highly recommend Gallman Construction for your new home. We highly recommend Gallman Construction for your building needs. We appreciate Danny Gallman’s quality workmanship and integrity. We were pleased with his efficiency in building a quality home. Danny is very accessible and easy to work with throughout the building process. My wife and I bought our house from Gallman Construction and we could not have been happier with the results. Danny definitely pays attention to his clients needs when building. He is also very accessible when you need him which is very important. We moved in our house in March of 2007 and he still answers any questions that I have almost immediately! If one is looking to build I would highly recommend Gallman Construction. I guarantee that you will not find a better person for the job. Being first time home builders, my wife and I were not sure what to expect or what was going to be involved in the building process. Thankfully, we had Danny Gallman as our contractor. Danny was always available to answer questions or discuss any concerns we had. Danny did great quality work and our house was built on time and on budget. Danny truly made building a house easy. We highly recommend Gallman Construction to anyone building a house. It has been more than a pleasure to work with Danny Gallman and his crew of professionals in building our dream home. Our hard earned money and life savings went into this project and we were blessed to find a trustworthy builder who not only gave us a quality house for an amazingly fair price, he went over and beyond what was expected of him. His subcontractors were respectful, friendly and exceedingly professional. They take pride in their work and give much attention to details. We would highly recommend Danny and his awesome team for all construction and remodeling needs. the construction industry and it’s an admirable quality that sets you apart from the rest, and makes you the best, in our opinion! It’s been a pleasure working with you and the best decision we’ve made to choose you as our builder, THANK-YOU we LOVE OUR HOME! We highly recommend Danny Gallman, Gallman Construction to anyone looking for an honest, quality builder who builds beautiful homes, honors his word, stands behind his work and his company, and most importantly take pride in his work, then you should choose Gallman Construction! These are the exact qualities of Danny Gallman and how he runs his company Gallman Construction. His subcontractors are top notch as well! We built a home 25 years ago, but this time we didn’t want to go through the stress and headache of building ourselves and Thank GOD we found Gallman Construction! Danny is very professional and personable, and was always accessible during the building or anytime if we had any questions, concerns, or changes we wanted to make…Danny was there helping us and guiding us. He makes sure you’re completely happy & satisfied throughout the whole process. He guides you through it all and really made it easy, which was an answer to our prayers. Danny even goes above and beyond to make sure you love your new home, and we LOVE OUR HOME! We also never had to worry if our builder was cheating us, cutting corners or taking advantage of us, Danny Gallman is very honest & respectable, and a man you can trust! We have compared Danny’s homes to other homes in our area and there’s really no comparison to the quality of work of Gallman Construction provides, it’s truly top notch! We recommend Danny Gallman and Gallman Construction to anyone looking for a new home, you won’t go wrong! My husband and I are very happy with the home that Danny built us. Our home withstood hurricane Gustav and a freak F0 tornado with no damage. This home is very well constructed. Our utility bills are the same as they were in the much smaller house we owned before, so it's also well insulated and energy efficient. Danny does not cut corners, unlike some other builders. 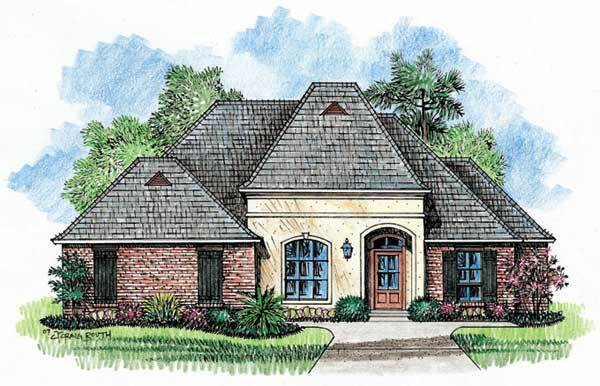 If you want to have a quality home built that will last a lifetime, you must consider Gallman Construction. I promise that you will not be disappointed. For those of you who already know Danny Gallman none of this will come as a surprise. You already know that Danny exudes integrity. Some of you may know him as a friend, former classmate or teammate. He may be a member of your church or you have witnessed his interactions with his family. All of the qualities that you know about Danny on a personal level are displayed in his profession as well. We started our journey for a new home almost 2 years ago when I first contacted Danny about building a home for us. We were doing some initial discussion at the time and he was very helpful. It was awhile before we were ready to sell our existing home and move forward. We were a little apprehensive about the building process and decided to look for a house instead of building. We finally found the house we wanted and made an offer. We learned that it was recently put under contract and we did not get the house. Little did we know at the time but this turned out to be very fortuitous for our family. I contacted Danny again and explained our situation. He immediately (same day) went to look at the house we had lost. He helped me track down the blueprints for the house and provided me with a quote. We were excited about the opportunity to build a home for our family and a little nervous at the same time. As a matter of due diligence I decided to get quotes from several other reputable builders. The quote I received from Gallman Construction was not the cheapest of the 4 quotes I obtained, nor was it the most expensive. However, we were not looking for the cheapest, we were looking for the best and that’s exactly what we received. One of the things that stood out from the beginning was the details in our quote and contract. Our quote was very detailed. It was broken out into every segment (electrical, plumbing, HVAC, etc.) with details about what type of materials would be used. There were optional upgrades for different levels of energy efficiency in each area. There were no grey areas or areas that were not defined. Of the other 3 quotes, I received a 2 line email from one builder, a ¾ page quote that was very vague from another and one of them scribbled a few notes on loose leaf paper. We signed a contract with Gallman Construction in mid-June, 2012, poured our slab on June 27 and closed on or home on October 10th. We were apprised of all scheduled work on a weekly basis and notified immediately of any changes or updates to the work schedule. Danny was 100% accessible throughout the entire process. I spoke with him almost daily and I have no idea what his voice message says because he answered his phone every single time I called him during the process. There were several mornings during the hot summer months that I would call him and I could hear his tractor running in the background. He would stop his work while sitting on a tractor in the hot sun and take my call, patiently answer my questions and not rush me or make me feel like a burden. I don’t think you can find another builder with this level of commitment to their clients. The quality of our home has exceeded our expectations by a longshot. Keep in mind we had already seen this house as built by another contractor. That house pales in comparison to the home that Gallman Construction built for our family. Danny took a blueprint from a house built by another builder and built the house better than they had. The fit, finish and attention to detail are in another league. From my past experience in building, and shared experiences of close friends and relatives, I have learned that most contractors start with a base price and use the cheapest materials possible to achieve the end product and pocket any savings that they incur. Danny actually added back to our home with a few extras and additions that we were not expecting and used the highest quality materials. These were things that set our home apart from others and no doubt cut into his profit. Due to his actions it is apparent to us that quality and customer satisfaction are very important deliverables for Gallman Construction. Our experience with Gallman Construction was very pleasing and their services could not be more highly recommended. If anyone wants to see the quality you can come by anytime. If you are considering building a home you would be completely remiss if you did not consider Gallman Construction. Our many thanks go out to Danny and Rachel Mitchell Gallman for building a quality, beautiful, affordable home for our family!